Property managers and owners have a responsibility to provide a safe environment to visitors- including the government. They should take all reasonable measures to prevent harm to their clientèle and visitors. When they fail to protect their visitors and injury results, injured parties may be able to file premises liability claims. Slippery or oily floors, cracked or uneven sidewalks, potholes, bad pool fencing or gates, falling objects, smoke detectors in disrepair, poor security and inadequate lighting are among the many dangers present in a poorly managed property. Slip or trip and falls or other accidents do sometimes lead to serious injuries to many parts of the body, including the brain and spinal cord. “Strict Liability” also applies in some situations. This means that, even if the owners were unaware of the danger, they can still be held liable for injuries that result from the danger. This is especially true if the victim was a child. Premise owners can be held liable for their failure to attend to dangerous conditions. If you have been injured on government, public, private or commercial property, talk to us immediately. 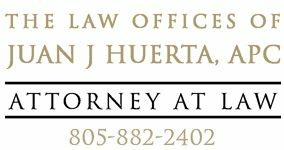 Throughout our personal injury practice, we represent clients in Santa Barbara, Santa Maria, San Luis Obispo, Ventura and all the communities in between. If you need legal assistance, don’t wait. Please use the form on this page or contact us by phone today.